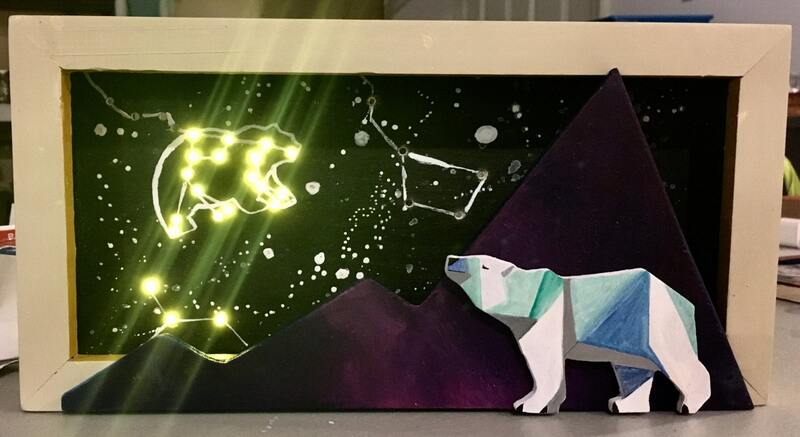 Light up anyone's heart with this twinkling, light up, polar bear shadow box! 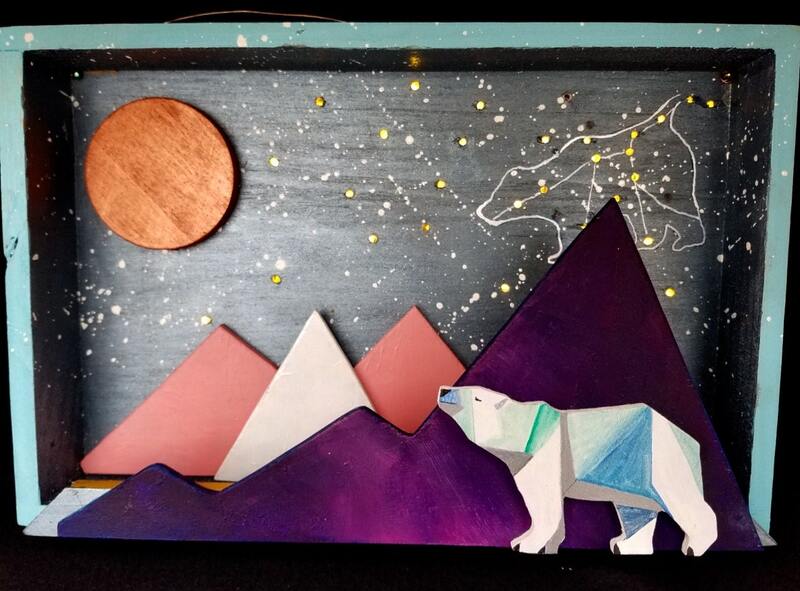 I can customize these pieces to include an animal of your choice. All wooden flora and fauna are hand cut...with love, of course.